What's old is new again for Mizuno Golf. 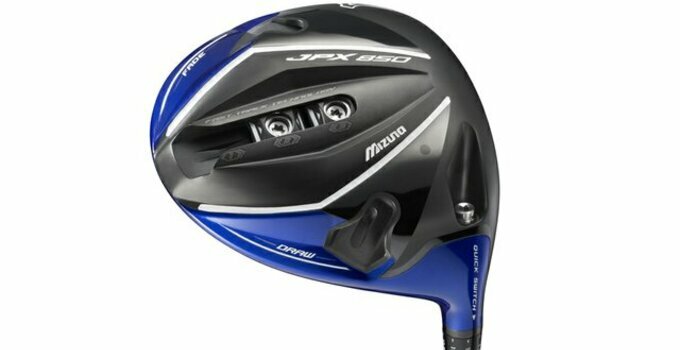 On Nov. 7, the company will release its highly anticipated JPX-850 driver, including a driver that screams throwback. Mizuno's bringing back Fast Track, a technology it introduced in a 2007 driver, but with some key refinements. The sole of the club has three tracks into which a player can slide in either or both of two, 8-gram weights. One slot is in the middle of the sole, with the others on the outside edge. All told, there are 10 total combinations to promote neutral, draw and fade swings. The refinement comes in the position of the weights, which give the player options to dial in loft and lie angle. The club is also adjustable in eight increments from 7.5 to 11.5 degrees of loft. The head is just 440cc, a bit of a trend in some clubs to dialing back from the maximum 460cc size. The driver debuts with a MSRP of $399.99.